Could Meghan Markle Ever Become The Queen of England? MEGHAN MARKLE, 37, and Prince Harry, 34, married in May last year. Harry is the grandson of the Queen. Does this mean Meghan could ever become Queen Of England? Fans worldwide are obsessed with the line of succession to the British throne. It can be quite confusing at times, as Queen Elizabeth II is the only monarch that many of us have ever known. 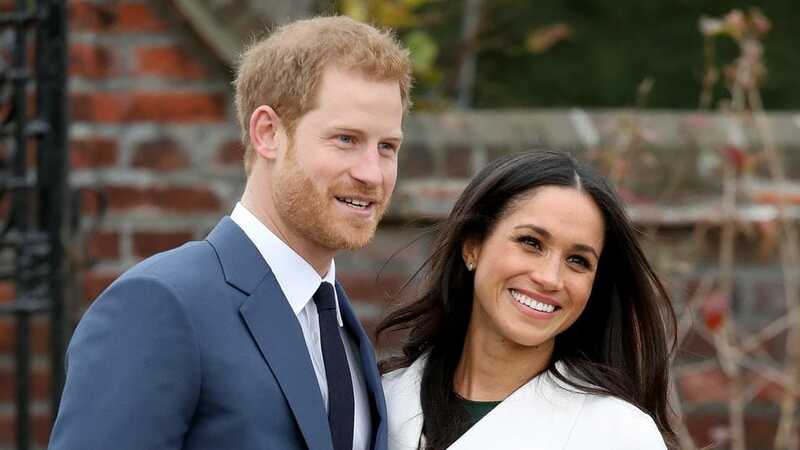 While we know that Prince William will one day be King, many fans are now wondering if it’s possible that the new Duchess of Sussex, Meghan Markle, could ever become queen? Born on August 4, 1981, in Los Angeles, California, Meghan Markle pursued a career as a screen actress, appearing in a number of TV series before landing the recurring role of Rachel Zane on the USA Network show Suits. Markle was the subject of international headlines in 2016 upon the revelation of her romance with Prince Harry of Great Britain. The two announced their engagement late the following year and married on May 19, 2018. Markle also ran the lifestyle blog The Tig from 2014 to 2017. How does the line of succession work? The line of succession is the order in which a family member will become king or queen, and the direct line of succession typically involves first-born children of monarchs and future monarchs. Since Prince Charles is the oldest son of the queen, he will become king upon her death. Upon Charles’ death, his oldest son William will take the throne, and after that, Prince George. The future first-born child of Prince George will be the next ruling monarch after him. Why Kate Middleton won’t actually be queen? Many fans are surprised to learn that Kate Middleton won’t actually be the queen someday! She will be what is known as a queen consort, meaning that she is married to a ruling monarch. Since Queen Elizabeth is the direct descendant of a ruling king, she is a queen regnant, meaning that she reigns in her own right. A very thin line of hope for Meghan to become the Queen. While Meghan Markle certainly won’t be a ruling monarch, since she is a royal through marriage, there is only a small chance of her ever becoming a queen consort. Although possible, it is highly unlikely. For this to happen, Prince Harry would have to be king. For Prince Harry to be King, he would have to live to see the deaths of Prince William, Prince George, Princess Charlotte, and Prince Louis, as well as any of the children that they may have in the future! Only then could Harry take the throne, meaning that Meghan would be a queen consort. Megan:One of our favorite royals! Future queen consort or not, we still adore Meghan, and she will always be one of our favorite royals! As part of her royal duties, she does extensive charity work and has patronages such as royal patron of the Association of Commonwealth Universities and royal patron of the National Theatre. She also visits schools and other organizations along with Prince Harry and does work related to equality and women’s issues. Meghan is also dedicated to her millions of royal fans, taking the time to do walkabouts during engagements and appearances, shaking hands and interacting whenever possible. Although chances are, Meghan will never be a queen consort, she is one of the hardest-working members of the royal family! Her work never fails to amaze her fans, as she impresses us with everything she does! Arrow’s ending unfolded by The Flash Star Grant Gustin bringing despair to all fans.